Happy New Year! Get that mojo workin’. To get more from what we have we must think outside of our traditional CAD box and think like a DataDude or DataDudette. That somewhat awkward viewpoint can save us days of work a year. Earlier this month Jerry Bartels of Autodesk posted a short video and post about manipulating the export results of the good ol’ Station and Offset Report in AutoCAD Civil 3D on the Civil Imersion blog. I could only chuckle. If I said a new perspective on this one little report and video was worth a hundred(s) man-hours to you in 2017, you’d likely say I was crazy. Ah. But if I’m not a lunatic, then you missed something special in this humble help video and set of simple Excel tricks. Out in the real world others may be laughing on the way to the bank. No one could blame you. The neuroscience geeks all say Functional Fixedness is the common human condition. The tool was made to do that. That is how we learn to use it. Welcome to the deep ocean currents of the data stream. In this world it’s not what’s on your screen that matters yet. It’s how you better manage what’s behind it. Unhappily, there is no two-minute or even ten-minute teaser means to explain how to create and employ novel data relationships inside your Civil 3D project. You must be a bit patient and persistent. Time to work for it. It’s good news for you if you do. Most folk won’t. They’ll still be madly pushing around silly labels all next year and whining that Civil 3D doesn’t work like they expect. 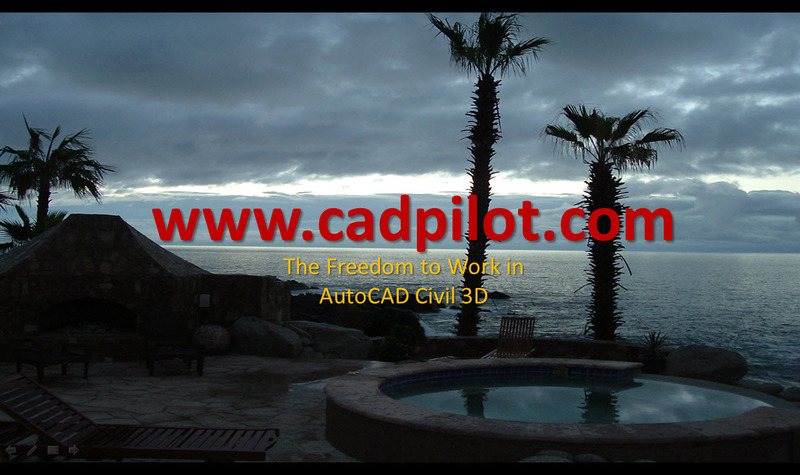 A well- engineered solution to better manage AutoCAD Civil 3D is innovative in ways you cannot expect. The rest of our entire Deliverables course is available free 24 hours a day and 365 days a year to website Members. Register and be rewarded or not.